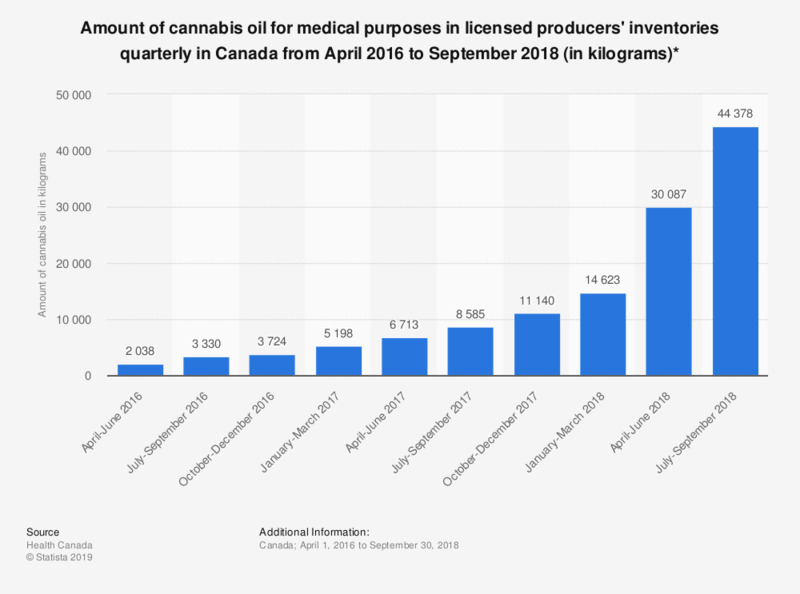 This statistic depicts the amount of cannabis oil for medical purposes that is stored in licensed producers' inventories at the end of each quarter in Canada between April 2016 and September 2018. At the end of quarter July-September 2018,over 44 thousand kilograms of cannabis oil for medical purposes was in licensed inventories. * Inventories as of end of each quarter.